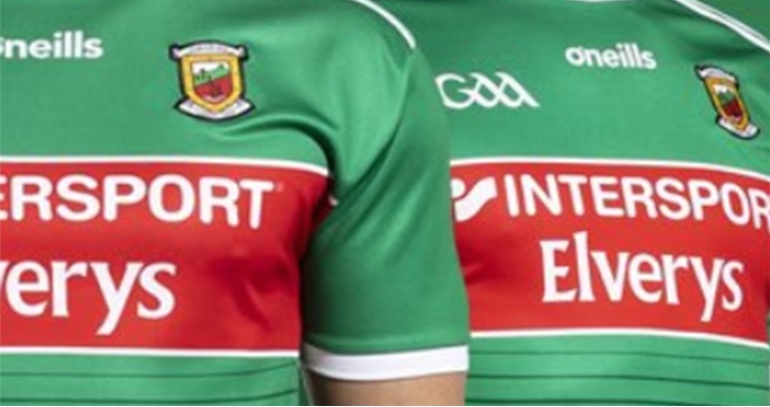 Mayo (NFL Division One v Tyrone, 3/2/2019): Robbie Hennelly (Breaffy); Eoin O’Donoghue (Belmullet), Brendan Harrison (Aghamore), Keith Higgins (Ballyhaunis); James McCormack (Claremorris), Lee Keegan (Westport), Paddy Durcan (Castlebar Mitchels); Diarmuid O’Connor (Ballintubber, captain), Donal Vaughan (Castlebar Mitchels); Fionn McDonagh (Westport), Aidan O’Shea (Breaffy), Ciaran Treacy (Ballina Stephenites); Conor Diskin (Claremorris), Brian Reape (Bohola Moy Davitts), Jason Doherty (Burrishoole). So it’s three changes from the team that started last Saturday night against Roscommon. In come three players making their full League debuts – James McCormack and Fionn McDonagh (both of whom came on as late subs against Roscommon), as well as Ciaran Treacy. Out go Colm Boyle, Fergal Boland and Evan Regan. That makes for a very youthful forward line, with Conor Diskin and Brian Reape both retained from the last night. Aidan O’Shea, named at 11 but (regardless of what certain pundits might opine about the merits of giving him that jersey) likely to spend most of the game around midfield, and Jason Doherty provide some experience in this sector. The policy of rotating the captainship continues too. Diarmuid O’Connor will lead the team out at Healy Park on Sunday. The last time we played Tyrone was, of course, in that embarrassing 12-point defeat to them at MacHale Park last March. Six players named to start on Sunday also featured on that chastening day: Eoin O’Donoghue, Lee Keegan, Aidan O’Shea, Diarmuid O’Connor and Jason Doherty all started that game, while Paddy Durcan joined the fray from the bench. Good luck to the lads on Sunday, in particular to the three players making their full debuts in a competitive inter-county fixture. Really like the look of this team, Ciaran Tracey coming in desires a start. James McCormack and Fionn McDonagh two big lads good game for them as well against a top level team. No harm to bring Colm Boyle or Andy off the bench, the young lads need to be tested. Credit is due to James Horan its a gamble but its worth the payoff. Wondering whats happened to James Durcan, felt he needs games as well. I would say that is the youngest Mayo team togged in a league or championship game since 2011. I also reckon it’s the quickest team we’ve ever togged. In particular the middle eight is as quick as in the country. All star goalkeeper on the bench again! Brave selection .. Credit to Horan .. Sink or swim venue for new young players .. They will learn a lot up north !! Horan is giving a start to a few guys in amongst the Senior operators. I was right last week looks like Hennelly will be insitu for 2019. I hope the newcomers come out if Omagh in one piece I’m expecting pure dirt from Tyrone, time for the likes of O Shea, Keegan, O Connor to dish it out. Good looking team. Nice blend. Good luck to all . How is a two time All Star goal keeper being benched..Best of luck to all. Nice looking team, good blend of youth and it’s good that there is a bit of size there as well as pace. Hope the weather doesn’t put the kibosh on it. Frozen ground would be my biggest worry but at least that should be predictable tomorrow evening so avoiding supporters travelling to find its off when they get to Omagh. It may be lambs to the slaughter but it’s the only way that all these new players are going develop at this level. Horan would not have been targeting this game as a must-win so best to give these lads a taste of fury. Saw on another forum a Tyrone fan said is was snowing heavy and sticking in Omagh this evening….hopefully there is no postponement. If we manage a win with this team then things are definitely looking up for us. Fair play to James Horan for having the courage to give the young lads a chance to prove themselves. Yes it is risky but I think JH figures that a loss here would be worth while in order to find out what the new lads are really made of. And he will definitely find that out against Tyrone on their home patch. All I want to see is that we have real potential in attack…….a win would be a nice bonus. Nice balanced team with 3 in the middle with Aidan joining the 2 lads there, while leaving a pacy full back line. Omagh is no place for the inexperienced or faint hearted so Horan and his selectors are showing a lot of faith in selecting 4 newbies in the front 6. I have to be honest, the Hennelly decision is puzzling. He made two very good saves v Galway in the FBD but he didn’t impress on Saturday evening. Ok the conditions were awful but he failed to come for 2 high balls in his square and as for running across his square while dropping the ball over his back in front of the Rossie forward!! Anyway, we’ll leave it to our manager and selectors and wish the players all the best. Nothing handy up there but we won it last time and they have a few debutants also plus got well clipped in Kerry last week. Think we might just get edged in this one but the bigger picture of getting tough experience for the new lads will be worth it. Really Happy with that team tonite by James. A strong enough team but he still has added more young talent to it.Ciaran Treacy , Fionn McDonagh and James McCormack have done enough now to earn starts.Performances from guys like Stephen Coen, Conor O’Shea , Evan Regan and Conor Loftus have just not been good enough for the amount of time they have been given over the last few years, they haven’t stood up and be counted like Brian Reape , Eoin O’Donoghue and Conor Diskin have done.Let’s hope Treacy, McDonagh and McCormack can do it Sunday all the best to them.Would like to see Michael Plunkett and Matty Ruane get some game time the weekend too. Fair play to Horan, a really smart team selection. So good to see so many young players playing Div 1 football…the only place to learn your trade. Im certainly not expecting us to win, and it would be the shock of the weekend if we did. Its a free shot so to speak, and the young playes playing will learn more in 70mins in Omagh, than they would in 10 challenge games against second tier teams like Roscommon or Fernanagh and the likes. It will be a great learning curve, and will fill them with confidence either way. Theirs no doubt we’re in a transition period. Im hoping posters here and people around the County are’nt losing their minds Sunday evening.if we get a bit of a pasting. I’ll be expecting the usual trolls from outside Counties stirring the pot as usual. But to the genuine ppl here, have patience…Rome was’nt build in a day. Best of luck to the lads. Moil an oige agus tiocfaigh siad. Nothing like a baptism of fire to see who has the right stuff, so well done on giving youth its chance. Heard from someone in Omagh today it was Baltic up there. If this game has to be called off, I hope we are not in Healy Park when we find out. Let’s trust the team that is selected, Hennelly made a really good save in the first half that could have impacted the result but people highlight the mistake, goal keeping is a tough place with no room for error, and the conditions last week were terrible for goalies. Anyway, best of luck to all that play, and interesting to see how we perform. I believe we’ll win Sunday…not sure why there’s so much negativity. Tyrone scored two points from play last week. I think Clarke’s the better keeper no doubt, but let’s give Hennelly a chance to prove himself. Keep an eye on the weather forecast coz Omagh’s quite the trip. GAA have precedent in calling off games at last minute. How old is Tracey? Did he play underage? Thought Plunkett looked really assured at no.6 v Galway. I’ve seen more from him than some other newbies. Is Ruane going to get any game time? I agree with mayo 88 and others with regard to the no.1 jersey. It’s not like Hennelly kickouts are unbelievably good. He trumps Clarke in thst sector but Clarke is proven a better keeper and has a calmer influence in bigger games. If Hennelly was getting any kind of decent return on his free kicks then I could be convinced, but his strike rate is very low. Maybe he’ll perform better on drier sod. Go Mayo. Kick their arse. Excited to see the youth and what they can do!! A brave selection from JH. Young lads certainly getting their chance. They will learn a lot about cuteness from Tyrone which will stand to them later. Best of luck to them. I’m glad to see Doh on the full forward line. He’s a goal getter. Lookin forward to the game. @jr… I feel I must reply to that erroneous statement…’Clarkes kickouts are a liability’ …You could not possibly be more wrong there, the last competitive match David Clarke played .. ( Newbridge or Nowhere versus Kildare)..Clarke found a Mayo’man with every kickout . approximately 30. That’s right 100% accuracy…And he got his kickouts off very quickly as well, finding several different Mayo Player’s in maybe a yard of space mostly close to the sidelines…..And he done this despite the absence of Mayo’s two most prolific midfielder’s, Tom Parsons and Séamus O Shea. …If anyone doesn’t believe me, the Match can be seen on YouTube!. Now I know that in General that Robbie Henelly’s kickouts have been of a higher standard than David Clarke’s going back maybe 6 or 7 year’s ..Then again I rate Clarke the best shot stopper in the country.. 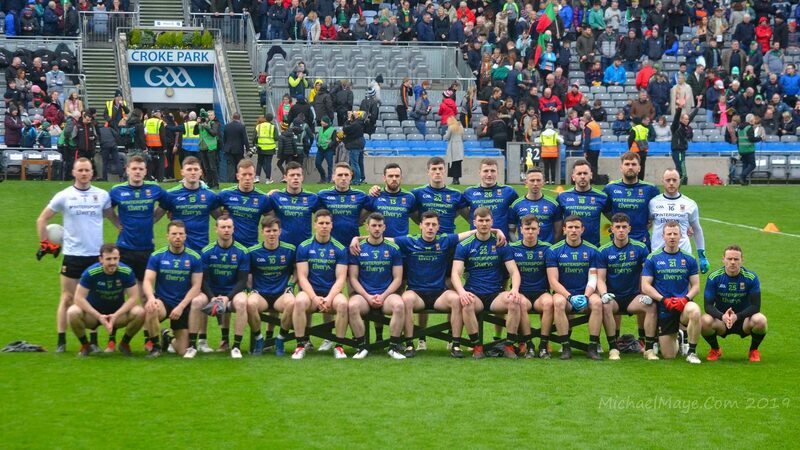 But restarts is an area of the game where Clarke has improved immensely… Best of luck to whoever playes for Mayo on Sunday, and safe journey to all travelling!… Both are fantastic Player’s .. Hopefully we will see Clarke in the very near future in the NFL. Why not us? Why not this team? Why not Sunday? I’m gonna stay positive until I’m not. I like JH’s approach. Love that he continues to mix in youth with experience, with the strong surviving. Let’s see what the new guys can do under duress. Better to learn more now than be surprised later. Hope Plunkett gets a shot soon, hopefully a taste on Sunday and a start next week. Anyone know if game is being shown on TV anywhere? It’s deferred coverage on TG4 (after hurling match) and can be streamed live via TG4 player. @ Leantimes – Search for ‘The 42: Kildare crack Mayo’s kick out code’. Mayo won 78% of their own kickouts that day. Kildare won 6 of our kickouts in the final 20 minutes – when we went from being ahead to being behind. I’m not judging either goalkeepers kickouts here but let’s not have fantasy comments or revisionist history about 100% kickout rates. Omagh id a tough place to go any day and ee have struggled against Tyrone on days when they really wrap us up in the blanker. I agree with policy of fiving young lads a go but they could sink horribly too. Patience is needed. Careers are not made on 70 minutes. 3 more debutants and 2 lads on their second game after starting last week. Fair play to Horan. Had to be done. Of course considering it’s Tyrone and we got 2 serious injuries in this fixture last year maybe he’s just sacrificing the young lads! I think james had identified Tyrone away as not a must win so why not use it to blood new guys. I’d be surprised if we get anything out of it but at this stage I’d prefer a loss with a good performance from some of the new guys than a win with the old guard. The goalkeeper debate rages on but whoever the no.1 for the rest of the year, hennelly needed some game time. I’d still have my doubts that Horan had pegged him as no.1 for the championship. @jr. Clarke’s kickouts are a liability you say. Well i know who id want in a pressure game under a high ball and its not hennelly. The man is too prone to mistakes. Nearly gifted the rossies a goal the last day with a simple handling error. The fans will have a nervous breakdown watching Mayo this year if hes the number one choice. Don’t want to get into the goalkeeper debate but I think it’s more than just a call on one or the other, not having a regular commanding full back puts extra pressure on the keeper. Whatever jh’s plan is for keeper and fullback it needs to become a settled pairing. Harrison is a brilliant corner back and all round footballer but not sure about commanding the square. This means the keeper needs to be making the calls on the balls into the area. I think Clarke will be back in unless we can uncover a fullback. Great to see an injection of pacey forwards getting a chance. Let’s see what they have to offer. TH Conor Loftus has done nothing? Goal against Derry, defence-splitting pass to Andy against Kerry. Ability to score from frees. Just 3 things that come to mind instantly. @Catcol, In fairness Loftus hasn’t shown too much outside of those moments, the Donegal league game last year and the 2 pts, pass in the Kerry replay 2017. Ciaran Treacy is an u24 age group, he was in and around underage panels but didn’t tend to feature as a starter. JP I can only agree with one on that how ever it was in the Rochford era. Horan era is different and if CL has something to offer in the new regime you will be seeing it soon enough. To be fair to Conor L appearances under Rochford and Holmes/Connelly were few enough and were mainly of between 2 and less than 10 minutes in most games he played. Wouldn’t say the guy had 2 hours football in the last two years. Did he ever get a full game, I’m not sure he did. Definitely never got a run of games in the team. IMO did pretty well in very limited game time. Hope we get to see him under James, think he has something to offer if he gets a chance. Conor loftus is a half forward. His best position is no.11 where he can pick out a pass.if we want to see the best of Conor it will be on the half forward line and not in the corner where he was played under previous management teams. Is the Tyrone game 100 per cent on the TG4 player tomorrow live. ? Leaving Castlebar in the morning if anyone wants a lift. Loftus was starting at full forward for McBride’s in Chicago last summer. He wasn’t on the bench. TBH I think Conor has got a lot of opportunities over the last few years, he’s just too inconsistent. Someone said above it was on the website ? Do people still think we should throw Aidan O’Shea in full forward against Dublin? Tom Flynn made no impact there for Galway this evening. From what I’ve seen of Fionn McDonagh I think he will be our incoming half forward option starter/1st sub over the next few years. He has a great energy and once into his stride has genuine pace attacking direct towards the opposition goal. We’ve had too many forwards who simply are not a pace threat. They have to double back and recycle the ball. It’s one thing been edged out in a game. It’s another if we were to be trounced. That wouldn’t do the young lads any good at all. I know we are short on midfielders, but if this game is experimental as some are suggesting then we are taking a chance playing the likes of Diarmuid. It will be hard hitting and God help us if he was to get knocked around tomorrow. C Loftus seems to get pushed off the ball too easy. He needs to be more tigerish winning the ball. Hennelly has had some bad days in Croke Park. He’s a good goalie but has issues with balls dropping in to the square. Anyway best of luck, especially to the young lads starting out with mayo. If we give a fair account of ourselves with the named team, that will be a result in itself. Tyrone are not the same team without colm cavanagh. Although we are starting a lot of youth I believe we will win this game. We like playing in omagh. To hell with moral victories. 2 points up for grabs. Let’s grab them.